A large, slow growing tree with a round, spreading crown, a stout, often twisted trunk and red-brown bark. 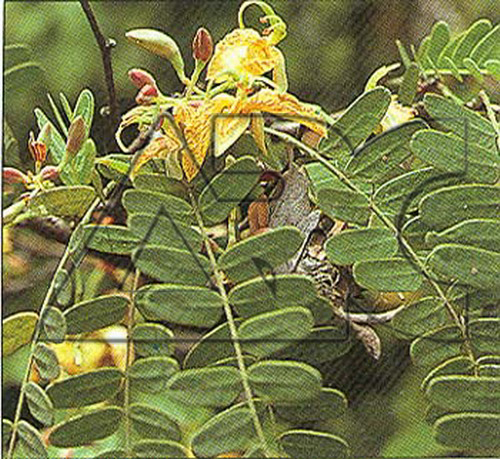 Leaves are alternate, pinnate with short stalked, oblong, dark green leaflets. Flowers grow in big racemes and have five unequal petals; 3 large and pale yellow with pink/red veins, 2 reduced in size. The fruit is long, curved, constricted between the seeds and filled with a sweet, slightly acid pulp.